With a valid driver's license and a stack of cash, anyone can drive a Porsche model of their choice around a test track. A few years ago, Porsche sought to improve its dealership experience and create new incentives for car buyers to switch to its brand. The result was a handful of Experience Centers around the world that let anyone (minimum age dependent on location) with a valid driver's license and a stack of cash drive a Porsche model of their choice around a test track. Stuttgart's gamble has paid off with a quarter of a million visitors to its PECs in the United States. 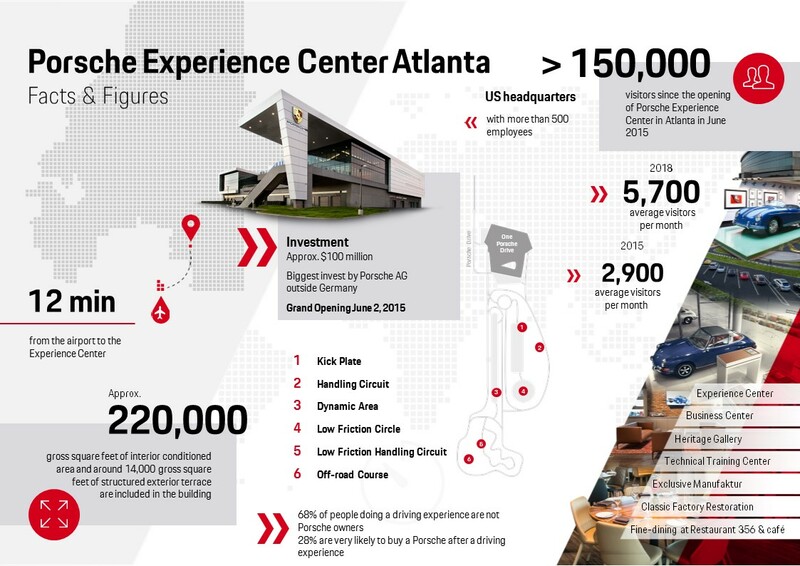 According to Porsche, more than 250,000 people have visited the PECs at the company's U.S. headquarters in Atlanta, and secondary location in Los Angeles since they opened in 2015 and 2016 respectively. Sixty percent of visitors don't own a Porsche but 30 percent of those say they are more likely to buy one after a 90-minute driving experience on the track. The reasons for this go back to the philosophy of buying experiences, not things, which Porsche proves by citing a Harris Group poll from 2016 that found that 72 percent of millennials now follow this logic. As Porsche's target audiences are getting younger and younger, the company is looking at shifting its focus to appeal to these groups, and the golden ticket is a great brand experience. Atlanta and Los Angeles host two of six Porsche Experience Centers in existence. The others are located in Le Mans, France; Leipzig, Germany; Shanghai; and Silverstone, England. However, the U.S. locations are the most frequently-visited centers by a mile. Most experiences consists of a handful of driving modules that teach participants how to drive the car of their choice in a number of situations, from utilizing launch control to handling oversteer. 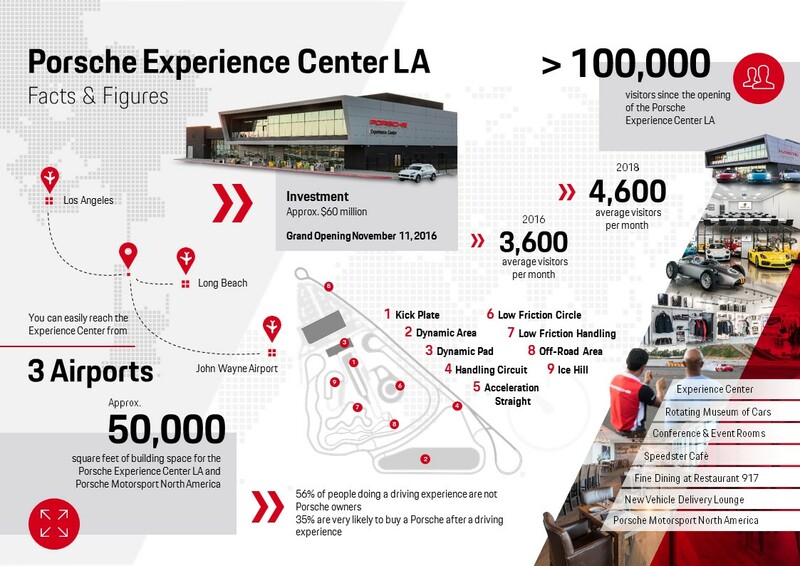 Visitors will find that each center is highly-versatile, as all are equipped with a simulator lab, conference centers, a museum featuring classic or rare Porsche cars, a motorsports garage, and one to two Porsche-themed restaurants overlooking the track. The only things Porsche Experience Centers are not are dealerships, but their statistics prove that you don't need sleazy sales tactics to sell cars.